I was checking my spreadsheet to see if I had any untried OPI DS shades, and sure enough, I had one left to try. And it's gorgeous! 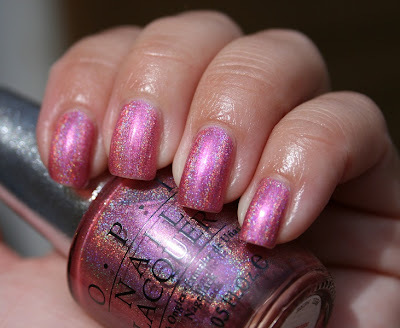 This is one of the holo shades, and I'm in love. The above swatch is two coats, topped with Seche Vite. As with all DS shades I have tried, it applied like a dream. I can't get enough of the DS line! Another DS polish that I have to buy . This is just stunning . That is such a pretty color. I love holographic polishes!